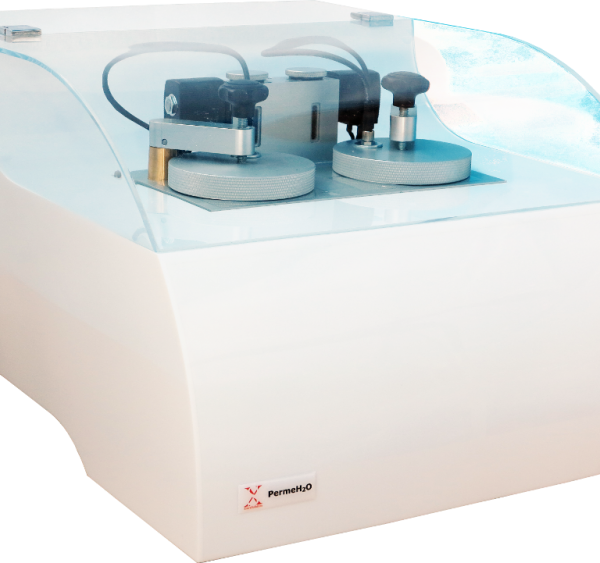 PermeH20 is an instrument for testing the water vapour permeability (WVTR) through plastic films, mono-layer or multi-layer barrier films, metallised or with surface coating, laminated or co-extruded used especially for food, beverage, pharmaceutical and electronics packaging applications. The dynamic-differential technique of the analysis used in PermeH20, avoids completely any possible erroneous measurements due to lateral leakages caused by possible surface defects or roughness of the sample. This is not possible with other techniques of analysis. 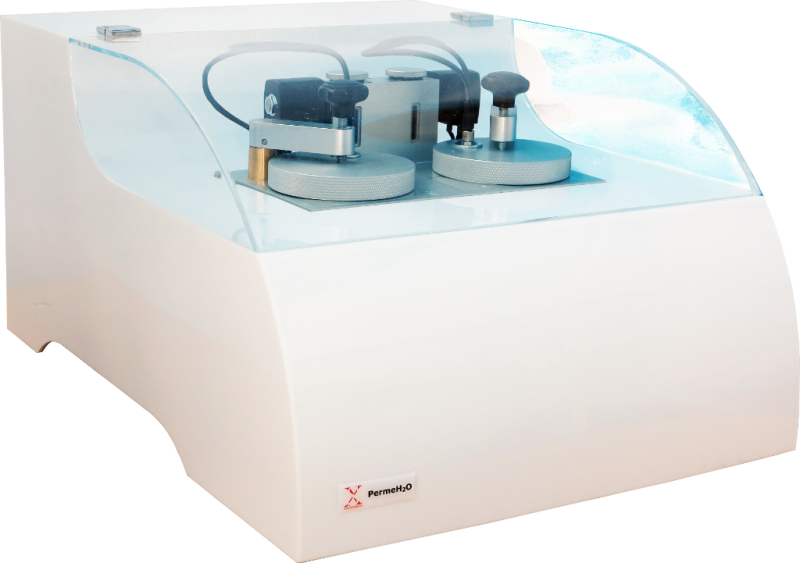 The software PermeH2O ExtraSolution® allows the user to work with full autonomy after only a few hours of training. The principal parameters such as temperature, relative humidity, and conditioning time, are requested at the start of the software and then it is all automatic. In this way any human action is reduced to a minimum and any possible errors are avoided. The software stabilises the parameters with high accuracy and precision over the complete measurement process. Testing conditions (temperature, relative humidity, concentration,…) are shown both as numeric data and graphical representation and saved in HTML file and in text file to allow the full compatibility with any other software. All the gas flows are electronically controlled so that the instrument is immune to changes of pressure both in the gas line and atmospheric. The single point closure system and the special design of the chamber eliminates the need of cutting the samples to be tested.